View More In Cardamom Seed - Page 4. Elettaria cardamomum is a member of the ginger (Zinziberaceae) family. 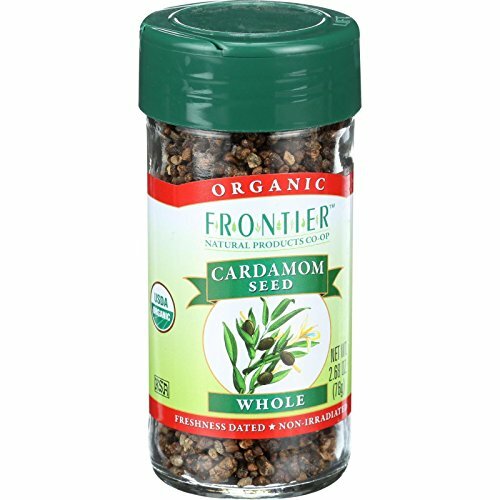 The name cardamom (sometimes spelled cardamon or cardamum) means ""grains of Paradise."" Product Notes: This versatile spice is prized by Indian, Scandinavian and Middle Eastern cooks. Sweet and spicy, warm and aromatic, cardamom adds a distinctive touch to cakes, pastries and breads and is equally compatible with meat dishes, curries, sweet potatoes and beans. Processing Notes: Decortication is a process in which a seed(s) shell or pod is removed. When good quality, fresh cardamom seed is decorticated the 1/8 inch light brown to black seeds initially cling together because of a sticky seed membrane. This membrane eventually dries to a white, flaky chaff-like substance that sticks to the seed or collects at the bottom of the bag. This chaff does not affect the flavor or quality of the seed. Spice Jungle Whole Green Cardamom - 1 oz. Spice Jungle Whole Green Cardamom - 4 oz.